The original owner was Commodore Bourne, who made his fortune as the President of Singer Sewing Machines. You may remember that "The Commodore" was the Commodore of the New York Yacht Club around the turn of the century, when Captain Nat was knocking out some rather exceptional Cup Defenders. His house still stands not to far away from his 12, as the former home of the LaSalle Military Academy, and is now home to the Sayville Campus of Saint John's University. Hull #768 was purchased for the Commodore's daughter to sail. In order to bring it will them on their Mediterranean vacations, #768 was equipped with two rather large ring bolts through the fore and after decks. With these, the 12 was lifted aboard the Commodore's rather large steam yacht. After all these years, the lift rings are still present, as is the transom design with the interior bracing. There is no rowing thwart, but the usual bench seats. The forward end of the cockpit has an open arch cut into the bulkhead, with varnished wood trim pieces framing the opening. Now named Avalon, 768 is on display at the Long Island Maritime Museum. 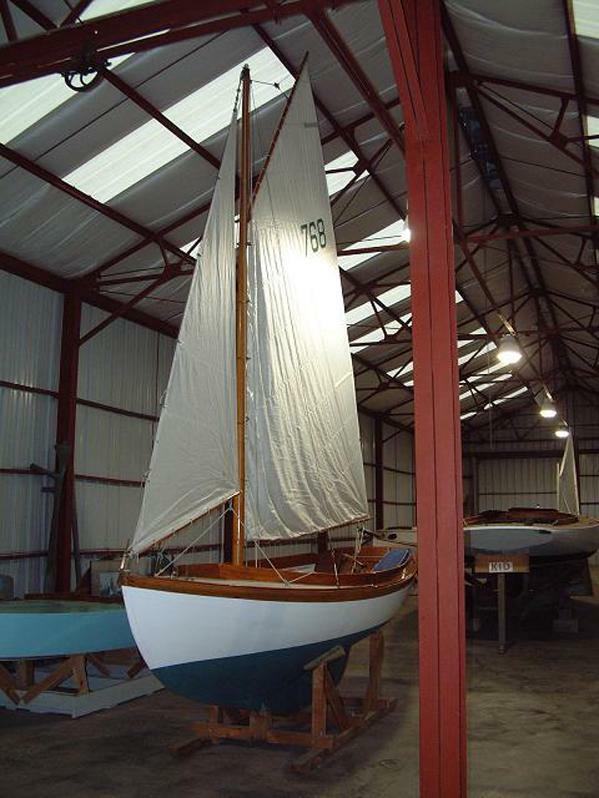 It was donated to the museum on August 2001 by Fred Hard, grandson of the original owner.